Sunwah Pearl – The highest class apartment in Saigon branded HongKong. Let Real Estate Express learn about this project. Sunwah Pearl is the third product developed and developed by Sunwah Group in Vietnam. The project Sunwah Pearl Binh Thanh is like a masterpiece of the Sunwah Corporation so that the name Suwah Pearl was born so. It is considered as a very bright jewel in the heart of Sai Gon. 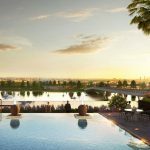 Sunwah Pearl – luxury and modern apartment. The Sunwah Pearl Project is designed as a closed complex comprising of several functional areas: apartment complex; the central business district; Offices for rent. So who is the investor of this modern complex? Sunwah Pearl is a high-grade apartment project invested by Sunwah Group – it is a very famous corporation in Hong Kong. 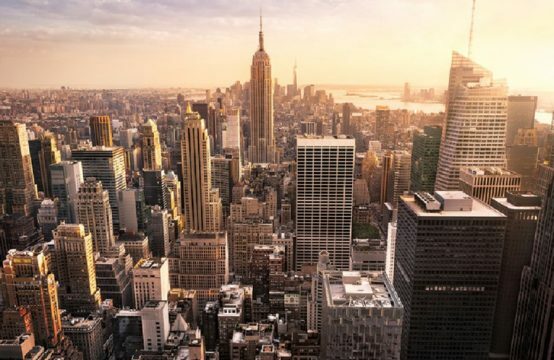 Established in 1957 with headquarters in Hong Kong, SunWah Group has over 50 years of experience building and developing, SunWah Group has established itself in many international markets with series of representative subsidiaries are present all over the world. 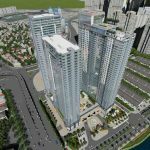 Sunwah Tower is the first real estate project deployed in Vietnam by Sunwah Group. With its central location with 4 fronts, Sun Wah Tower has become an ideal place for many businesses, corporations or corporations to set up offices or head offices. With more than 50 years-experience in the market, Sunwah Group promises to bring to customers a quality product branded HongKong the best and most complete, certainly will not let you down. Suhwah Pearl will be a milestone to help Sunwah Group once again affirm its name and brand to customers in Vietnam. Sunwah Pearl Saigon possesses many outstanding advantages compared to apartment projects in Binh Thanh District. Located right at the corner of the bridge of Thu Thiem 1 with 50m front Sai Gon River. From here you can easily move to the city center or the center of Thu Thiem District in just a few minutes. 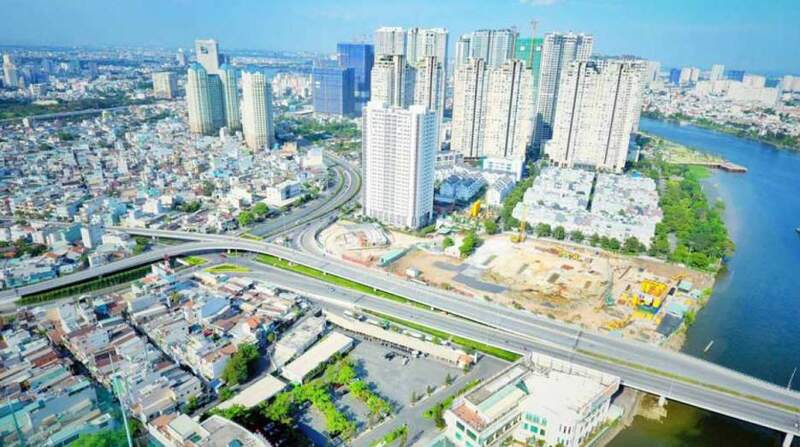 More specifically, after the elevated highway is completed, from the Sunwah Pearl Project, you can go straight to Tan Son Nhat Airport without the need for further distances. 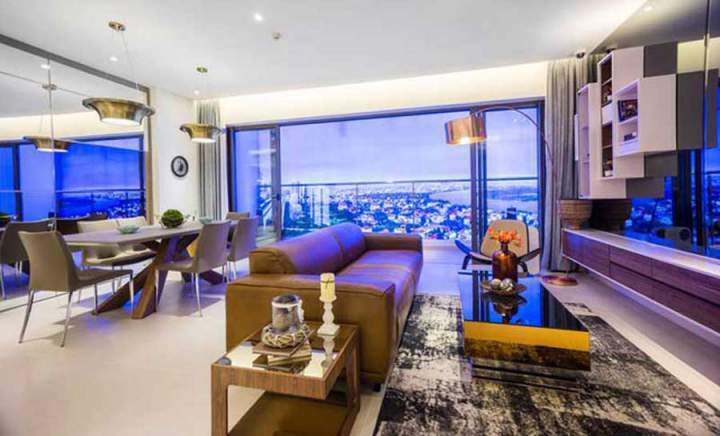 The team of highly skilled architects with the unique design and layout of Sunwah Pearl, the owner has set the requirement that 100% of the apartments must have a view overlooking the Saigon River. The vertical surface with a small length opposite the Saigon River, this is a challenge for the design team. Architects have created a series of unique architectural designs for the tower. The blocks were rotated 15 degrees to turn toward the Saigon River, creating a view of one of the towers. Meanwhile, the opposite face is designed to be directed directly to the entrance from various corners of the apartment near the river. The meticulous, elaborate work of the architects will be very clear through the product that you will own. You can say Sunwah Pearl is a complex of high end modern apartment complex. Do not name this place was dubbed as 5-star house on the romantic Saigon River. 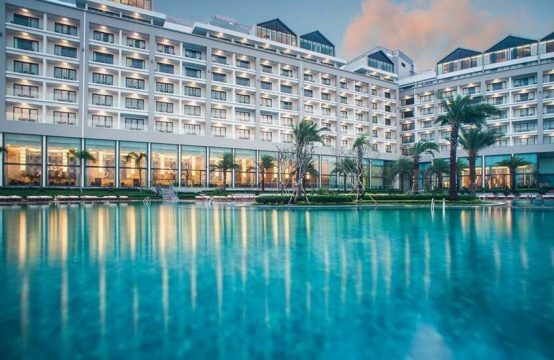 Not only is there a prime location along the Saigon River, but the Sunwah Pearl is also full of utilities to cater to the needs of the residents. 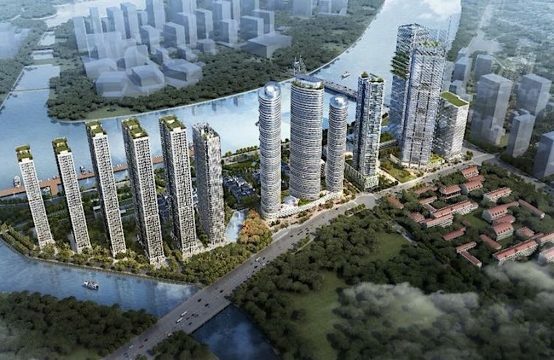 It can be said that after finishing Binh Thanh Sunwah Pearl will be the ideal residence for all city dwellers and will be a great business opportunity for real estate investors. 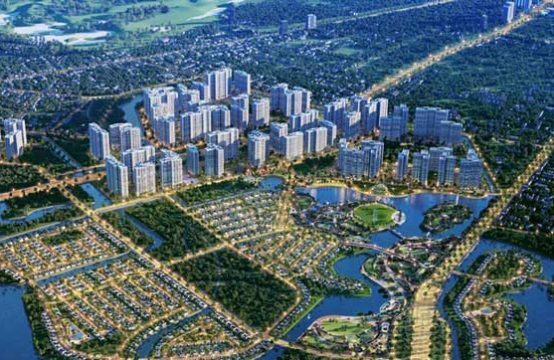 Sunwah Pearl in Binh Thanh apartment project is planned to become the new center of Binh Thanh district. 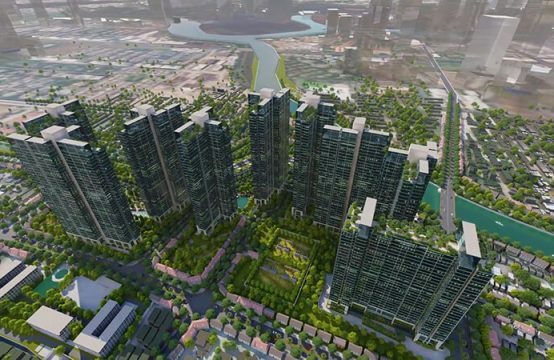 After being completely finished, this project certainly promises to bring a very civilized and modern lifestyle for residents in the center of Ho Chi Minh City. Besides the Sunwah project, you can view Opal Sai Gon Pearl apartment project in Binh Thanh district for more choices for your family.